This is a time for ladies to get together for encouragement and prayer. 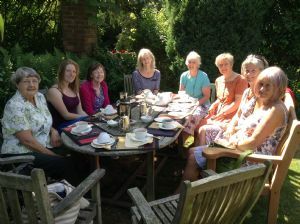 The meetings are held in a home on the first Friday each month, from 10.30 to 12.30. It's an informal time to share and enjoy a cup of coffee. We occasionally treat ourselves to an outing!